A picture can say thousand words. That’s a good reason, people take screenshots to explain things to others. The problem is that everyone is different and people prefer doing the same stuff in different manner. Though taking screenshot is a simple action, people prefer to do it in different manner. So big operating system like macOS should cater the most frequent use cases to cover all user’s needs. In this article let us explore, many ways that Apple offers to take screenshots in Mac. Related: Take screenshots in Windows 10. 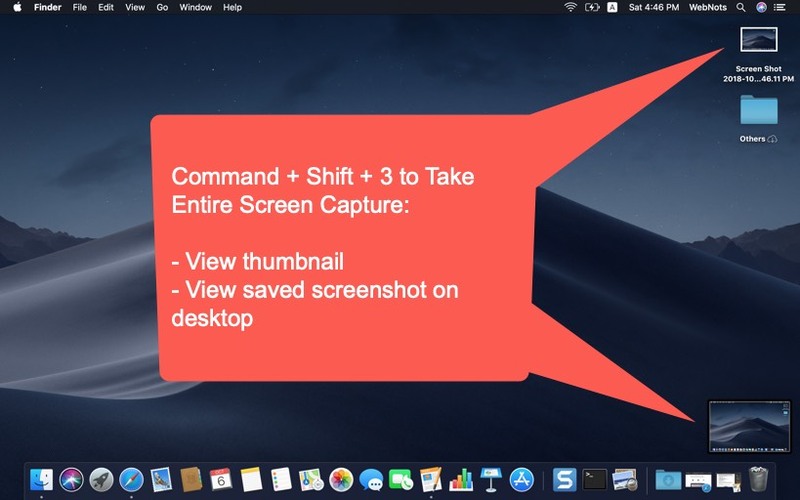 9 Ways to Take Screenshot in Mac? Keyboard shortcuts are very useful when quickly accessing features. And Apple makes it simple to take screenshots using keyboard shortcuts. Press command, shift and number 3 keys on your Mac. This will capture the entire screen on the display area. You will hear a camera click sound and a floating thumbnail will appear on the lower right corner of the display. Click on the thumbnail to open and start marking up using the Quick Look editor tools. You can also share the screenshot instantly from Quick Look editor. The thumbnail will disappear automatically in few seconds or you can swipe it right to close. 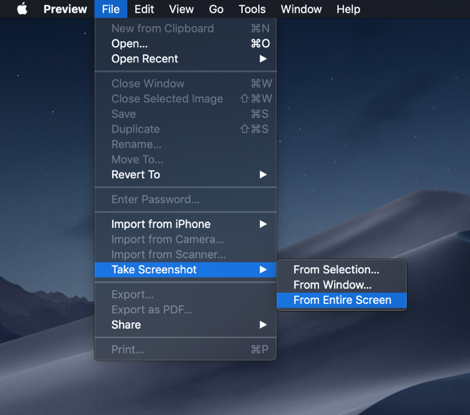 Mac will store the screenshot by default on your desktop with the file name as “Screen Shot date at time”. Example file name is – “Screen Shot 2018-10-06 at 4.48.35 PM”. The screenshot will be in PNG format. After taking a screenshot and before the thumbnail disappears you can drag and drop the thumbnail to any folder to save the screenshot under different location. Control click on the thumbnail to see more options for changing the saving location, open the image, markup and delete. Press command , shift and number 4 keys to see a crosshair cursor. The cursor will show the X and Y coordinates to locate the position on the screen. Now, you can hold the (left) click on trackpad and drag to select a rectangular area. The cursor will show the dimensions of the rectangular area you have selected. Leave the (left) click button to see the selected portion was taken as screenshot. You will hear a camera click sound and the floating thumbnail on the lower right corner of the display. You can do all the stuffs mentioned above with the thumbnail. Method 1 helps to capture the entire screen and method 2 helps to capture the selected area. One missing option here is to capture the required window. You can do this by using a modifier key with the previous method. Press command, shift and number 4 keys. When the cursor changed to crosshair, press the spacebar key. Now the cursor will change like a camera. You can move the cursor over windows and click. It will capture that window, even it hides behind another window. Remember, in this method the screenshot will show the highlighted window content and not the overlapping window content. Pressing command, shift and number 5 keys will basically open “Screenshot” or “Grab” app. Alternatively you can click on the Launchpad and go to “Other” folder. Click on the “Screenshot” app to open. Unlike previous keyboard shortcuts, “Command + Shift + 5” will work like an app with many features. The icon will change to a camera. You can take screen capture as well as recording using this method. Record the entire screen or the selected area. Capture the entire screen or selected area or selected window. Click on the “Options” to change the save location, set time delay, show or hide mouse pointer in the image, enable remembering last selection and toggle showing the thumbnail. Click close button to close the app without taking screenshot or click “Capture” to take screenshot or start recording. You can do all the stuffs with the thumbnail as explained in method 1. In order to use this method you should have macOS version 10.14 (Mojave) or greater. Related: Take screenshot in Google Chrome developer tools. If you don’t like to use any of the above methods then Preview app offers a separate screen capture function. Open Preview app and go to “File > Take Screenshot” menu. You will three options – from selection, from window and from entire screen. Use one of the options to take screen capture. The entire screen option will allow you to delay for many seconds before capturing while other two options will capture immediately. The big reason you may need to use Preview is the image file format. All of the above methods will allow to save only in PNG format. With Preview app, you can save the screenshot in HEIC, JPEG, JPEG-2000, OpenEXR, PNG, TIFF and PDF formats. You can also apply alpha effect to the image colors and select different locations to save different images. As part of continuity features, Apple also allows to take photo from iPhone’s camera and insert in Preview, Pages and many other apps. This feature was introduced from macOS Mojave version. So ensure you have the latest macOS version equal or greater than 10.14 (Mojave). Open one of the supported apps like Preview or Pages. The option is available under different menus for different applications. On Preview, go to “File > Import from iPhone” and on Pages go to “Insert > Insert from iPhone”. Ensure you have your iPhone next to Mac and connected to the same Wi-Fi. Click on the “Take Photo” option. The camera app in your iPhone will automatically active now. Take picture using camera. The image will be instantly inserted in Pages or opened in Preview app. If you are a command line lover then Mac has an option for that also. Click Launchpad and go to “Other > Terminal”. When you are in Terminal app, type the below command to take screen capture. You will hear a camera click sound. The screencapture command will capture the entire screen in PNG format and send the image to the root of the current user. 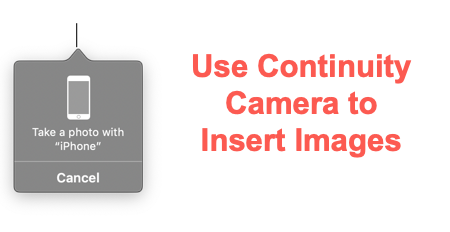 You can play around with this command to take screenshots with delay, change file format, etc. You can enter man screencapture in Terminal to read the full documentation of this command. 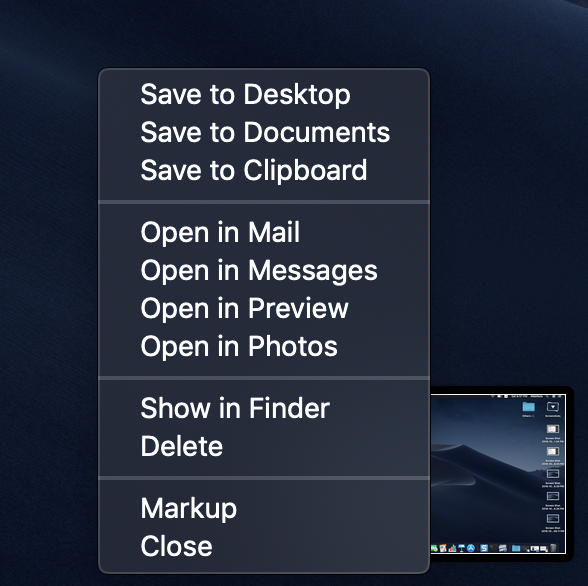 If you don’t like any of the default Mac’s screenshot options then head on to App Store. Search for “screenshots” in the search box to find lots of screen capture apps. 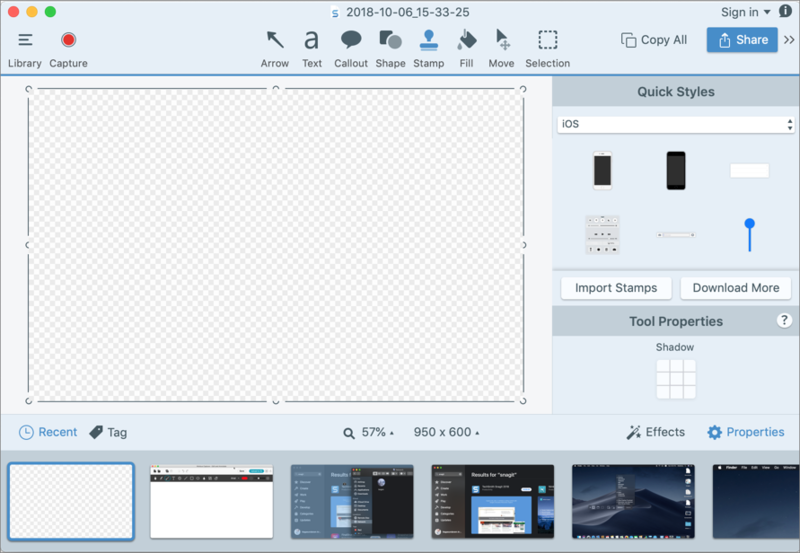 For example, Nimbus Capture” is one of the free app to take screenshot and edit with builtin image editor. 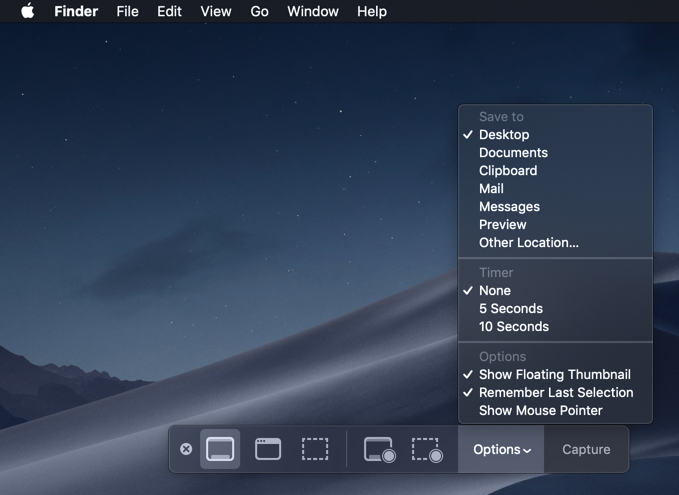 Related: 5 Ways to manage desktop in Mac? The final option is go for a paid app with end to end functionalities of screen capturing and video recording. One of the best option is to buy Snagit 2018 app from TechSmith. We have a review and tutorial of Snagit which you can refer for more details. This is a superb app that helps to capture screen and process like a professional.